from USA Today bestselling author Melanie Harlow is coming June 4th! He was my first crush, my first kiss, my first everything. But I’m not a lovesick teenager anymore, and I’d never let that cocky troublemaker break my heart again. So when he shows up out of the blue asking me to have dinner with him “for old time’s sake,” I say I will. After all, it’s been twelve years, and I’m stronger and smarter than I was back then. Except…he still does something to me. He’s got those eyes that make me weak, those hands that drive me wild, and a body I can’t resist—especially once I see the tattoos. It doesn’t take long for our trip down memory lane to go from sweet to sizzling. We’re just as good together as we were back then—better, even—and I’m willing to give the only man I’ve ever loved another chance. But he’s got to tell me the truth. All I wanted was to see her again. Tell her I’m sorry. Make her smile. Okay, that’s a lie. I wanted to do more than that—a lot more. But I know she’s better off without me, and I promised myself I’d behave. Except I’ve never been much good at keeping promises…or my hands to myself when I’m around her. I can make her laugh, I can make her cry, I can make her body surrender to mine in ways that neither of us could have imagined back then. I can—and I do—love her more than she’ll ever know. But I can’t tell her the real reason why I’m here. 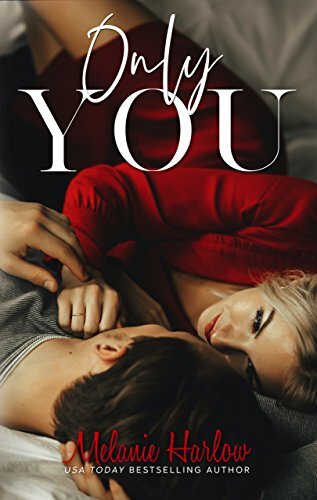 Start the Series of Standalones Today with Only You! I’m waiting for this one to come out before reading Only You.